HCM CITY — Pulse Active and The Crea[c]tive Company will host the Colour Me Run from 10am on May 12 in District 7’s Phú Mỹ Hưng area. This year’s Colour Me Run festival marks the fifth consecutive year that the music and sports event has been organised. The event expects to be the highest turnout that the annual event has seen so far. 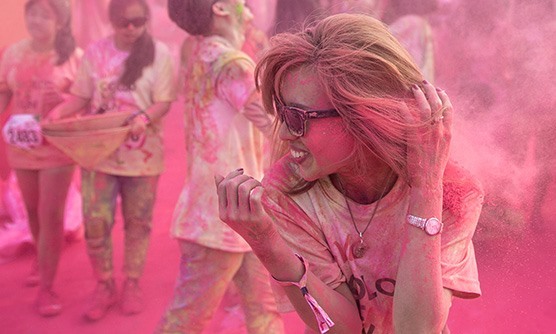 Combining running, music, dance and lots of coloured powder, the festival has made its mark on Saigon spreading the philosophy of happiness and keeping people in shape.